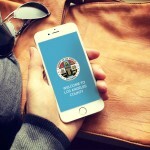 Subscribe to DHR's RSS (Really Simple Syndication) feeds to get notices and information about job opportunities at the County of Los Angeles, including job titles, filing dates, department names and links to job details. RSS (Really Simple Syndication) is an XML-based format for sharing and distributing Web content, such as news headlines. RSS allows you to easily keep track of news and happenings at your favorite RSS-savvy sites. It is easy to subscribe. You can add the RSS feed to your website or copy the address of the feed to your news reader. To add the RSS feed to your website, just select the RSS icon on our site, and you will open a new page. Simply select ‘subscribe to this feed”. To subscribe to a news feed, you will need a news reader. Use your favorite search engine to find a "news reader." Many are available for free, and some newer browsers have news readers built right in. These readers allow you to subscribe to news feeds and will check the feeds for you automatically and update you with the latest headlines. Simply copy the address of the feed to your news reader. Once you subscribe to a feed, headlines are available in your reader. When you see a notice that interests you, just select the link to view the information.